Тема в разделе "Прогнозы на футбол", создана пользователем Admin Kava, 3 сен 2018. РФС объявил состав сборной России на сентябрьские матчи с Турцией и Чехией. Вратари: Гилерьме («Локомотив»), Андрей Лунев («Зенит»), Антон Шунин («Динамо»). Защитники: Георгий Джикия, Илья Кутепов (оба – «Спартак»), Федор Кудряшов («Рубин»), Эльмир Набиуллин, Игорь Смольников (оба – «Зенит»), Роман Нойштедтер («Фенербахче»), Константин Рауш («Динамо»), Андрей Семенов («Ахмат»), Марио Фернандес (ЦСКА). Полузащитники: Юрий Газинский, Дмитрий Стоцкий (оба – «Краснодар»), Роман Зобнин («Спартак»), Александр Ерохин, Далер Кузяев (оба – «Зенит»), Алексей Ионов («Ростов»), Руслан Камболов, Павел Могилевец (оба – «Рубин»), Денис Черышев («Валенсия»), Антон Швец («Ахмат»). Portugal in this game without many important players who play in national team many years like José Fonte, João Mario, João Moutinho, Adrien Silva, Ricardo Quaresma. Also not in squad Portugal star Cristiano Ronaldo. www.calcionews24.com/convocati-portogallo-croazia-italia-assente-ronaldo-mario-rui-cancelo/ Portugal have very weak squad for me here. Croatia call up all their best players for this game. Only Subasic (injured) & Mandzukic (give rest) out. Other players who play in World Cup final in july in squad. For me Croatia favorite in this game. On many domestic and foreign websites, the best Danish players, including Kristian Eriksen, Kasper Schmiedel, Simone Kerr, Andreas Kristensen and others have rejected the call for selectors due to the FS Denmark (DBU) squads in connection with the distribution of money from commercial rights. Denmark risks to be suspended by UEFA if it does not have a team on September 9th, so footballers from the lower leagues could play for the national team. Regardless of the fact that there is a chance that these players will be out in the field in two days, given that there is a possibility that the agreement will come, I am not sure that the mood in the team of Denmark will be as good as negotiations with the league must continue after these matches. The conflict between Danes and the Football Association of Denmark occurred due to the distribution of money from commercial rights. Denmark will play players from 2nd and 3rd league on Wednesday, and Denmark can not gamble and not appear on the match because UEFA could suffer a severe penalty. 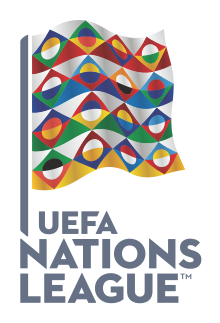 This is also a two-edged sword because it is possible that these national teams will be eager to prove, but certainly that Slovakia has quality and that this can and must be used by the League of Nations. I expect the victory of Slovakia with at least 2 goals difference. Slovakia, on the other hand, has no absences. They called the best players for a friendly match with Denmark and a match against Ukraine in the League of Nations. I think I can win this match with two goals difference. А если датчане выйдут основой но словаки их всеравно в два и более гола вынесут - видимость честной борьбы и загруженность плюсовой форы перекроет прогруз изначальный на словак - филигранный кедок будет . В цьому цирковому матчі можете бути просто ВСЕ. Зараз взяв плюсову на Данію. Якщо вони вийдуть основою, можна буде круто перекритись мінусом на Словакію. Пишут, что футзалисты будут играть.